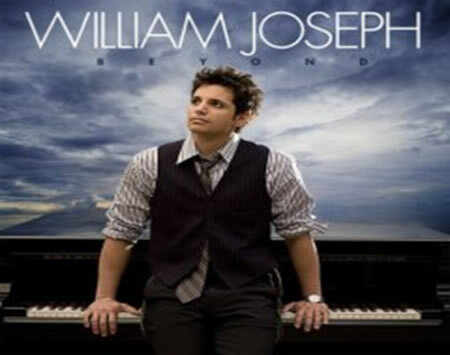 When William Joseph sat down to write the songs that appear on his new album "Beyond", he had a very clear vision of how he wanted the music to sound. “I wanted it to be memorable”, he says. 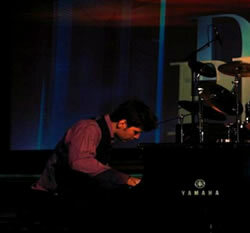 “I wanted it to be moving, inspiring, and thought-provoking.” William and his team, executive producer David Foster and producers Jochem van der Saag and William Ross, have accomplished all that and more on Beyond a bold, confident collection of instrumentals that showcases the Phoenix native’s artistry as a musician, composer, and performer. “This album is is absolutely me”, says William, whose deft piano playing on Beyond is backed by a band and a 72-piece orchestra. “This record is cinematic like the soundtrack to an epic film that has yet to be made. And then it goes beyond, and has these high-energy, driving melodies that are not only exciting to listen to, but also to perform live”. 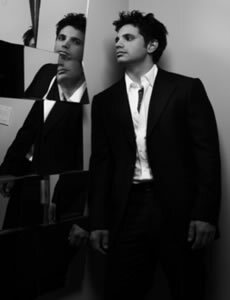 The music a genre-defying crossover mélange that has been described as “classical pop” captures a variety of moods, from the dramatic, to the heart-wrenching, to the light and playful, and all performed with the emotional power and polished precision that William has become known for. His growing legion legion of fans has been devoted to him ever since the 2004 release of William’s debut album Within, which featured a mix of original compositions, inspired rock classics, and impassioned classical pieces. “Within was a great learning process for me,” William says. “At that point, I had never played with an orchestra before, I had only written for piano. After Within, I saw the possibilities of working with orchestrators and programmers and my whole creative world opened up. I wrote the songs on Beyond knowing that I would have the instrumentation I love. Plus, I've grown a lot in the last four years, and I really feel like I’ve figured out what my sound is, and how to take what’s in my head and put it on the album.” While he was composing, what was in William’s head was often expressed as raw emotion. “Most people, when they sit down to write, have a specific story or experience to write about,” William says. “When I sit down it’s purely about the music. I focus on the emotion and the melody, then go back and think about what this story is telling me.”And so the songs on "Beyond" soar, like the forceful “Standing the Storm,” the edgy “Asturias,” the epic 'Heroes', and the dramatic “Kashmir”(a reworking of the Led Zeppelin classic that has become William’s signature live show-stopper). William also proves his versatility on the tender ballads “Sweet Remembrance of You” and “A Mother’s Heart,” then fires up the mood once again on the flamenco-flavored “Apasionada,” which actress Jane Seymour fell in love with and told William she would dance to if she won her season of Dancing With the Stars. Finally, there’s the title track, which William says sums up the entire album for him. Since the release of Within, William has been in-demand for a number of high-profile musical events, including a support tour with 143 Records’ label mate Josh Groban in 2004, a two month tour with Clay Aiken in 2005 (plus a collaboration with him on his album A Thousand Different Ways), and supporting such artists as Barbara Streisand, Natalie Cole, Kenny G., Il Divo, and Peter Cincotti at select concerts around the world. William, who at age eight had already won a full-ride national music scholarship that allowed him to study classical piano with acclaimed Russian instructor Stella Saperstein — welcomes the opportunity to perform any chance he gets. Hence he has appeared center stage for several prestigious celebrity events, including tennis great Andre Agassi’s “Grand Slam for Children” fundraiser with Tim McGraw, Faith Hill, and John Mayer; a charity event for Carousel of Hope with Beyoncé; as well as at private parties held in the homes of actresses Eva Longoria and Jane Seymour. California Governor Arnold Schwarzenegger also personally invited William to play at an intimate birthday party for his wife, Maria Shriver. William performed “Kashmir” at the star-studded opening of the Broad Contemporary Art Museum at LACMA, an invitation-only gala event attended by Tom Cruise and Katie Holmes, Prince Andrew, Steve Martin, Christina Aguilera, and Dustin Hoffman, among many others. Also this year, Dr. John Gray, author of Men Are From Mars, Women Are From Venus, selected “Beyond” to be the theme music for his website.